KARACHI: A banking court hearing the Rs 35 billion money laundering case involving Pakistan People’s Party (PPP) leaders Asif Ali Zardari and his sister Faryal Talpur on Tuesday rejected a request by the Omni Group seeking to unfreeze the company’s bank accounts. 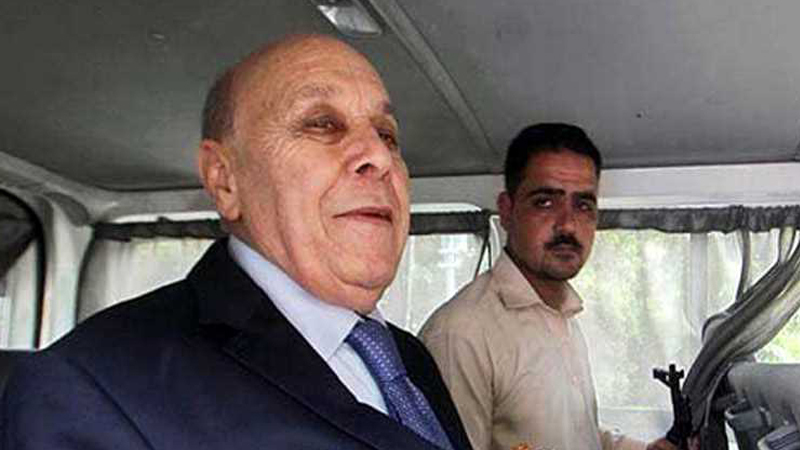 The former president, his sister and other accused in the case, including Omni Group Chairman Anwar Majeed and his three sons, attended the court hearing. As the hearing went underway, the Federal Investigation Agency (FIA) prosecutor objected to a petition by the Omni Group to unfreeze its accounts. The FIA prosecutor contended that the SC had ordered that the special court should not issue a ruling on Omni Group’s petition to unfreeze their accounts. To this Majeed’s lawyer responded, “The apex court had not placed a restriction on presenting arguments regarding the matter.” The judge remarked that the court will decide the issue after reading the SC’s order. The defence counsel requested the court to unfreeze Omni Group’s bank accounts citing the impact it had on the group’s employees, however, the judge turned down the plea citing the SC’s directives against issuing any order in the matter. “Will the banking courts now refer to the SC for every decision?” asked the defence counsel. The defence counsel requested the court to instruct FIA for submission of the final charge sheet to which the judge reminded the counsel regarding the apex court’s directives. “But we can provide FIA with a time-frame to submit the final charge sheet,” said the judge. Meanwhile, the court issued non-bailable arrest warrants against five accused, including Hussain Lotha, Arif Khan and Azam Wazir Khan, and adjourned the hearing till Oct 16. On Monday, the Federal Investigation Agency (FIA) had told the Supreme Court (SC) that a Joint Investigation Team (JIT) has found 33 more suspicious accounts in the fake bank accounts case. An FIA JIT, formed on the orders of the apex court, has been investigating a 2015 case regarding fake accounts and fictitious transactions conducted through 29 ‘benami’ accounts in Summit Bank, Sindh Bank and United Bank Limited. Seven people, including Zardari and Faryal Talpur, were said to be involved in using those accounts for suspicious transactions. The accounts were allegedly used to channel funds received through commissions and kickbacks. While hearing a suo motu case regarding a delay in the FIA probe into the case, the SC had constituted a JIT to probe into the matter. FIA Additional Director General Economic Crime Wing Ehsan Sadiq, who is heading the JIT, submitted a report in court on Monday which revealed that 29 suspicious accounts had been scrutinised again, and during the investigation, 33 more suspicious accounts had been uncovered, which are now being investigated. Additionally, 210 companies were also found with alleged links to the case, the report added. The report said that 47 of these companies were associated with the Omni Group. The Omni Group also owns 16 sugar mills, the report said, adding that 334 people are allegedly involved in the transactions. It was also reported that warrants were issued for suspects absconding in the case, including Namar Majeed, Aslam Masood, Arif Khan, Naseer Abdullah Hussain, Adnan Javed, Mohammad Umair, Iqbal, Azam Wazir Khan, Zain Malik, and Mustafa Zulqarnain.